Hi everyone! 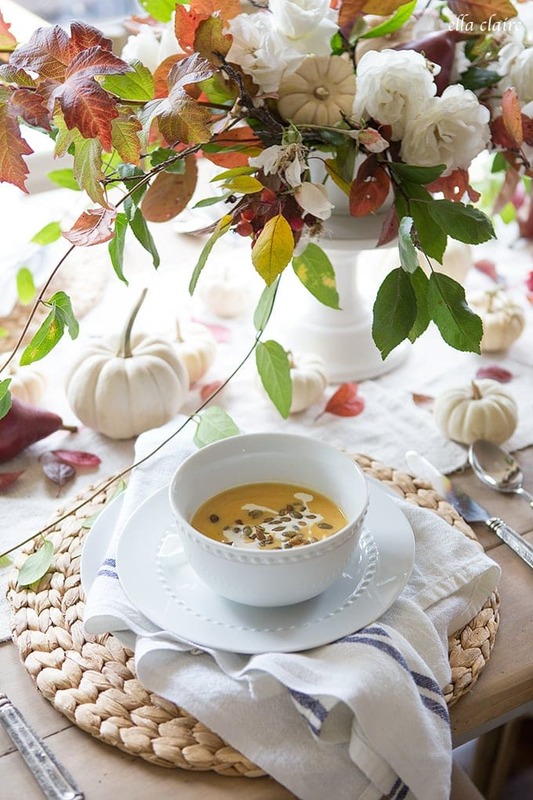 I hope you had a wonderful Halloween yesterday! We already celebrated our Thanksgiving here when we had our family in town, and I am full force into my Christmas decorating… and loving it. I would honestly keep my Christmas decorations up for at least half of the year if I could. The twinkling lights, snowflakes, pops of red, and glitter just make me happy. 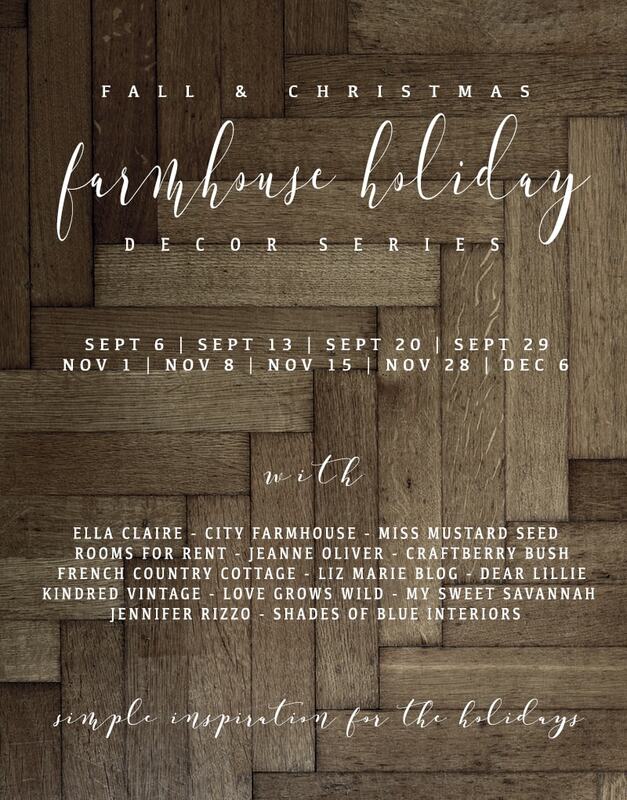 We are back into the Christmas portion of our Farmhouse Holiday series as well! 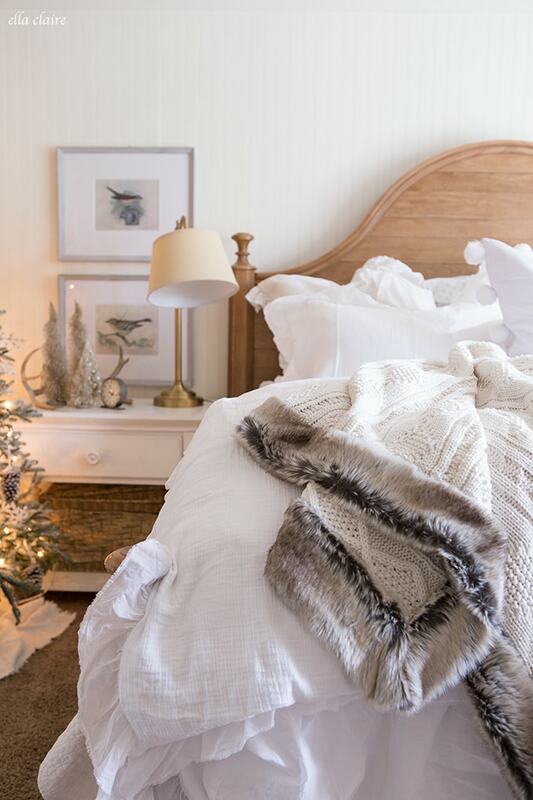 Today, we are sharing our bedrooms all decked out for Christmas and you can follow the links to the other homes at the end of this post. I always decorate my room for Christmas, but I changed up a few things this year. First, and biggest, is a Christmas tree! I have a little bit of a tree hoarding problem (if you want to call it that). I just love Christmas trees. The more the better! They are like giant Christmas flower arrangements in a space and I love them. This is the tree I had upstairs in our bonus room the past couple of years. I have a different one going up there this year. 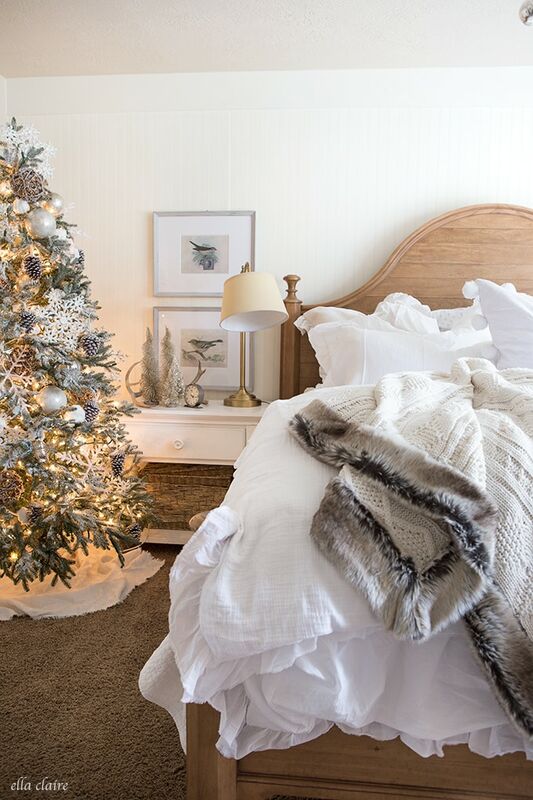 The white, snowy, woodland theme worked so perfectly with our all white bedding. I added a couple of bottlebrush trees to my nightstand and some antlers I stole from my brother. 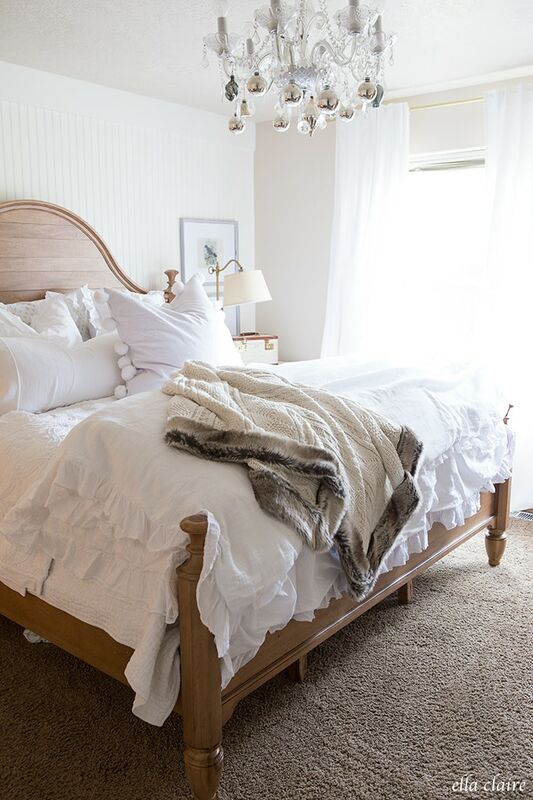 I still love my cozy layered all-white bedding and added another ruffle duvet and some crochet edged sheets from Birch Lane. I kind of miss my red striped duvet, so I might still add it in (you can see it here). What do you think- should I add it? 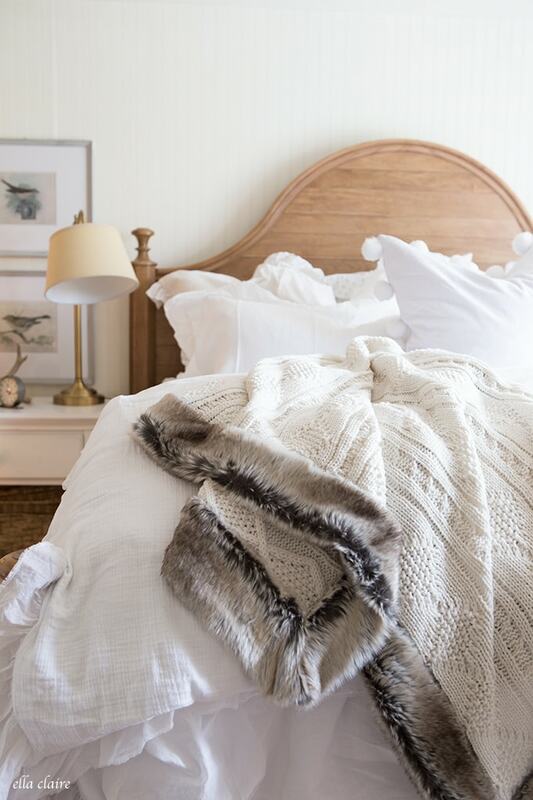 I accented it with a fur edged throw for some cozy texture and to match the woodland theme. This boxwood wreath is still up from last year. After Christmas it dried so full and pretty, so I just left it there because I really love the way it looks with the arch on the antique cabinet. I took down my curtains and washed and steamed them to get all of the summer dust off of them. I added this sweet lamp from Birch Lane to my cozy little reading nook. I always hang my vintage shiny-brite ornaments from our chandelier. They have the prettiest patina and sparkle with the light and crystals. A few got broken last year, so I will be on the lookout for some to replenish my stash. When I pulled out my Christmas trees this year, almost all of the lights were out on every one of them! ugh. ALL of the lights were out on this one and after working on it for a while, unsuccessfully, I threw in the towel and just put new ones on it. Problem solved. 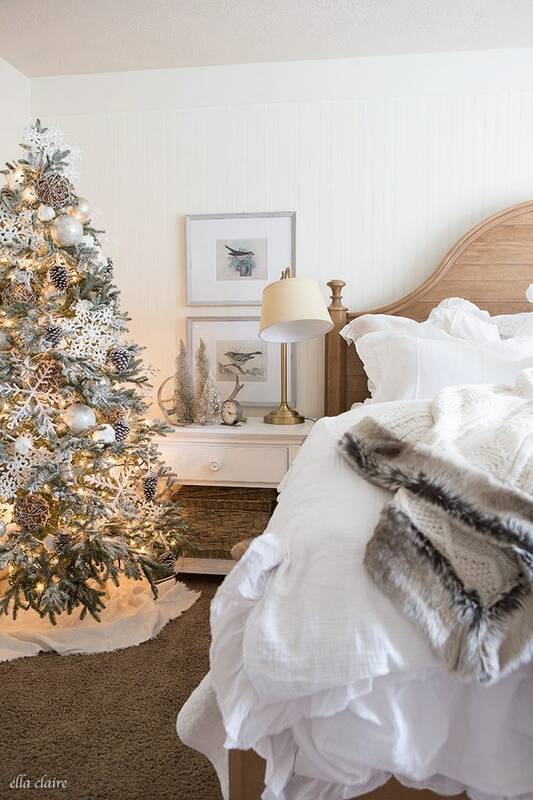 Would you ever put a Christmas tree in your bedroom? Our room isn’t huge, and we have a king sized bed, but I think this 7 ft tree still fits perfectly. It nestles into that corner and is really out of the way. When there’s a will, there’s a way I guess :). 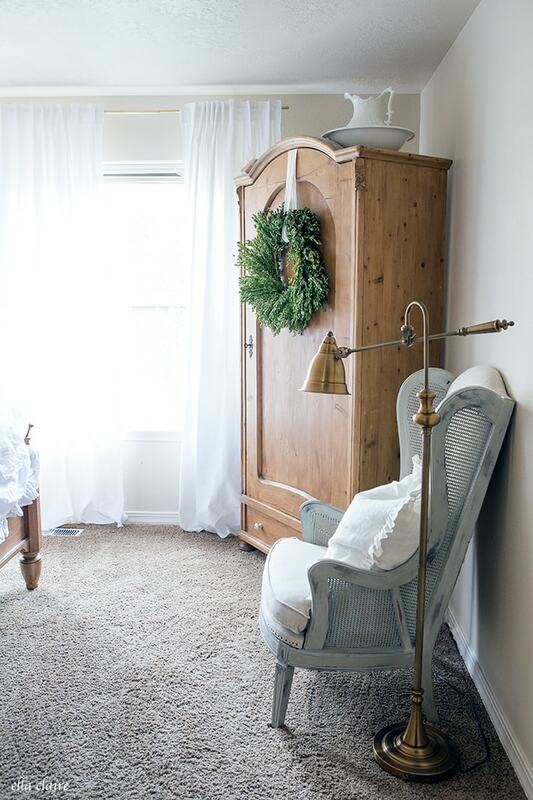 I hope you are able to visit these other Christmas bedrooms in our Farmhouse Holiday Series! 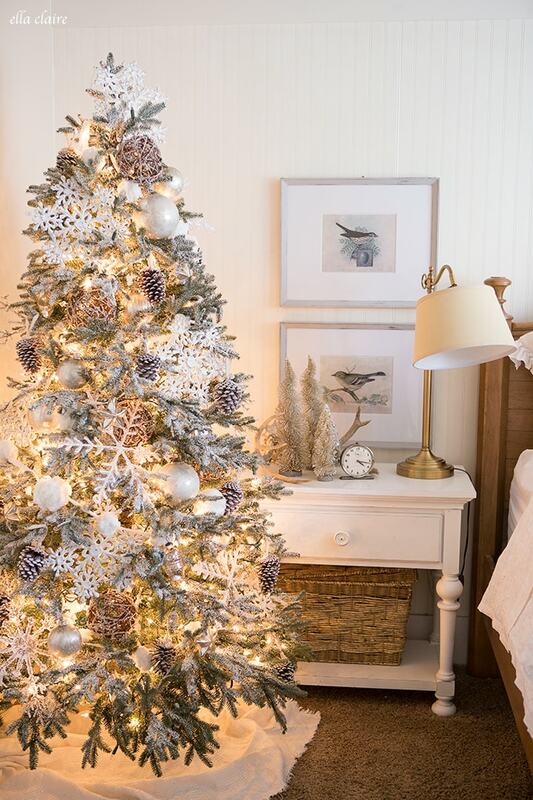 I know we are sharing Christmas inspiration a little early, but hopefully it will help you plan for your holiday season! Kristen, you have such a beautiful touch. 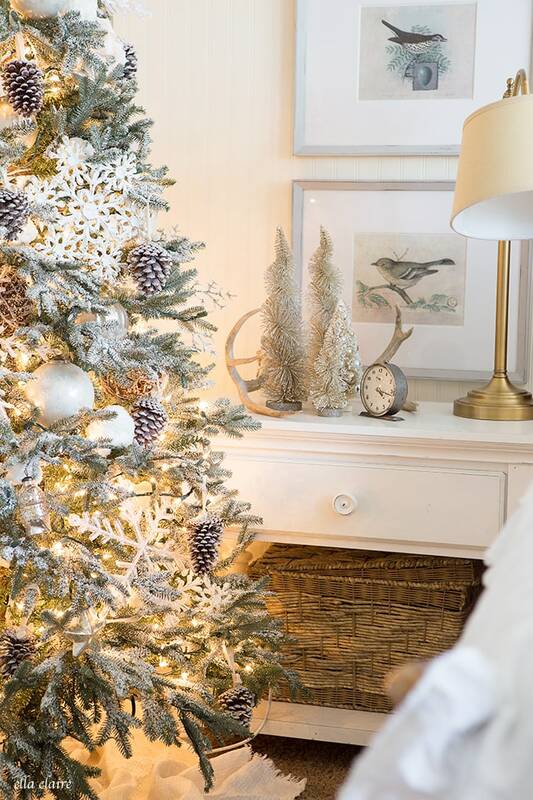 I have been reading your blog for a few years now, and I always look forward to this time of year to see what sort of Christmas gorgeousness (is that even a word?) you have in store for your lucky readers. 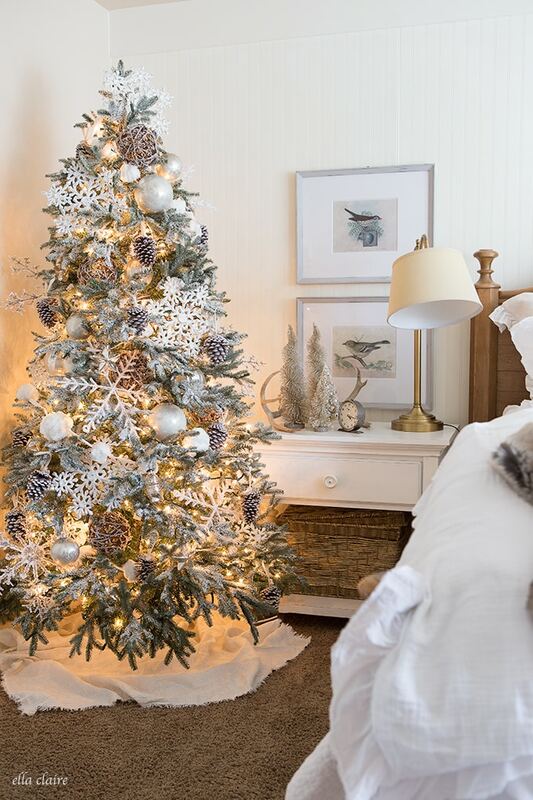 I love the tree in the bedroom! 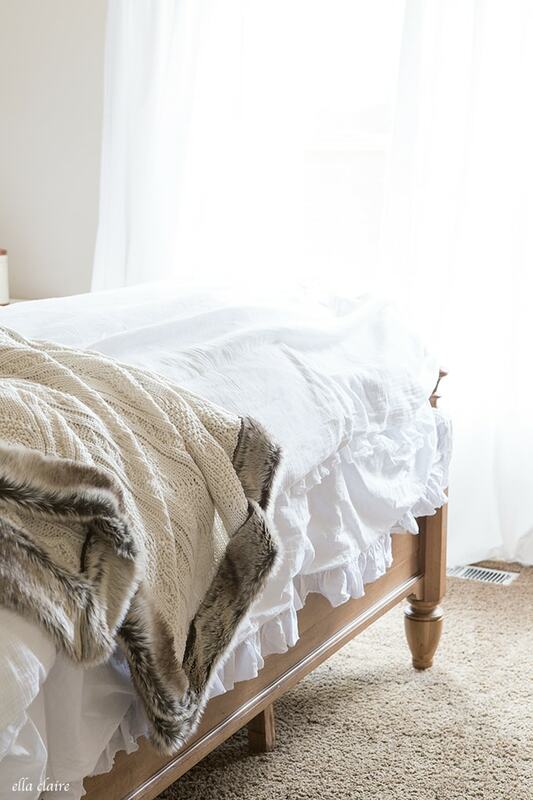 Where did you find the lovely spiral bottle brush trees on your night table? 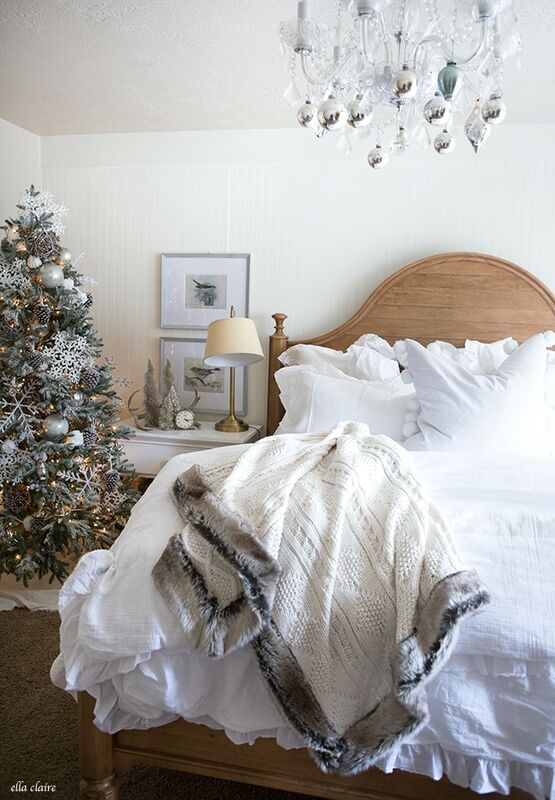 Re the red-striped duvet, I also kind of miss it – I think it would add a festive touch! But that’s just me – I’m a sucker for red! It’s too early for this. I want to be excited for you all, but I just can’t – yet.